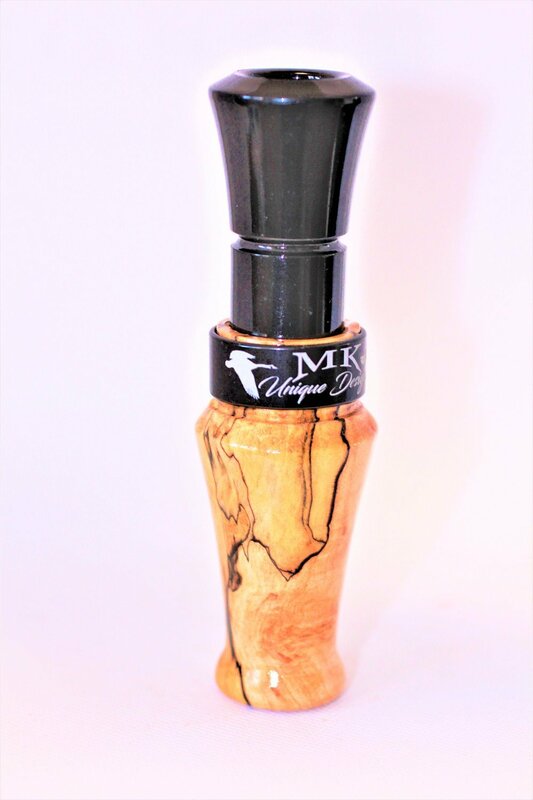 The MK Unique Designs Goose Call is built to produce loud sharp honks and clucks. The volume of this call works well on high Flying migrators and high wind days when you really need the call to be heard. The Gut/Reed system allows the call to have true Canadian Goose tones with very quick response time. and, high pitch call the easy tune guts are easy to blow for beginners and are also easy to tune just put the reed to the tabs on the rear of the sound board and your ready.To put those geese in the freezer. Each call comes with a box and a call bag with geese on them.